Copyrightuser.org is an independent online resource intended to make UK copyright law accessible to everyone. 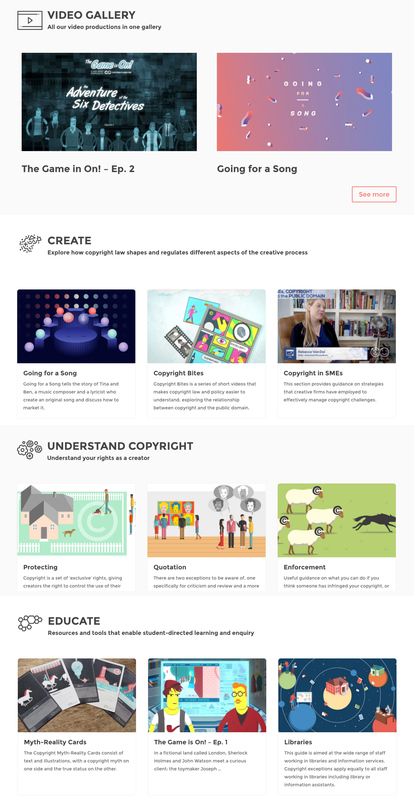 Starting from a rigorous analysis of the most common copyright questions and concerns faced by users and creators, the website provides accessible guidance that is responsive to users’ needs, focus on positive messaging, enable lawful creativity, and promote critical thinking about copyright, creativity and the creative economy. 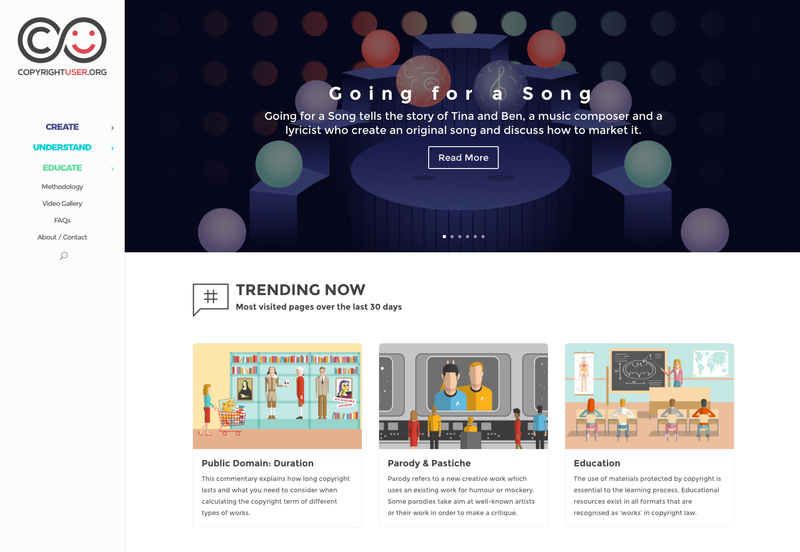 Co-produced with world-leading copyright experts and designed in collaboration with Pomodoro, Copyright User has attracted over 400,000 unique users, becoming the most visited UK copyright information website. In 2016, it has been listed by the European Audiovisual Observatory as one of the top 5 media literacy projects in the UK since 2010.